Keywords: Systems biology, parameter estimation, metaheuristic, optimization, kinetic model. Keywords:Systems biology, parameter estimation, metaheuristic, optimization, kinetic model. Abstract:Background: Kinetic models with predictive ability are important to be used in industrial biotechnology. 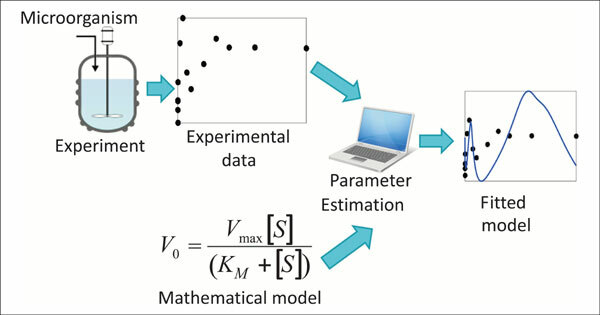 However, the most challenging task in kinetic modeling is parameter estimation, which can be addressed using metaheuristic optimization methods. The methods are utilized to minimize scalar distance between model output and experimental data. Due to highly nonlinear nature of biological systems and large number of kinetic parameters, parameter estimation becomes difficult and time consuming.